Do We Have the Time and Energy to Lead a Torah Life? The Orthodox family man and woman are called upon to fill a multiplicity of roles: to earn a living sufficient to support their household with all the necessities of an Orthodox lifestyle—including providing their children with a yeshivah education and appropriate summer activity; to manage a household, which includes providing nutritious meals and making Shabbat each week; to foster shalom bayit by being attentive and caring husbands and wives; to daven three times daily; to set aside adequate time for Torah learning; to care for their children, spending quality time with them and providing for their spiritual and emotional nourishment; to care for elderly or infirm parents; to foster and maintain relationships with family and friends; and to participate in the life of the community by volunteering with shul, school and chesed organizations. And, typically at the bottom of the list: to maintain their health with some daily exercise, and to get a reasonable, if modest, amount of sleep. Every item on this list reflects a Torah obligation, or a significant Torah value. Every item on the list is the hallmark of an Orthodox home, and based on values inculcated in us from the youngest age. But can we possibly do it all? In this modern era, are there enough hours in the day, and do we have sufficient energy to enable us to live this ideal Torah life? And if not, what are the trade-offs? How do we determine how to prioritize an increasingly complex life so that a Torah lifestyle energizes and uplifts us and inspires us to grow spiritually, rather than overwhelming us and taxing our endurance? Are we, as a community, adequately preparing our members to face these challenges, and are we providing the necessary emotional, psychological and pastoral support to address them? Frum men and women struggle heroically with this challenge. For me personally, it has been, and remains a dilemma I have felt constrained and diminished by throughout my adult life. I believe it is a dilemma all of us, to some extent, share; it is a communal dilemma that receives insufficient attention and discussion, perhaps because comprehensive solutions are so elusive; and because this issue requires hadrachah and counseling from rabbanim, as our spiritual guides and mentors. Many in our community are working harder—and longer hours—perhaps more than at any point in our history, often simply to make ends meet. Moreover, in many homes, both husband and wife work full time outside the home. It’s expensive—painfully expensive—to lead an Orthodox lifestyle. The average Orthodox family has 4.1 children—compared to 1.7 for the rest of the Jewish population. Many have far more. I have two sons, one has five children, one has eight, kein yirbu. This is not at all unusual; and it is wonderful for Klal Yisrael. But children need to be fed, clothed and educated. Studies show that tuition costs for a yeshivah or day school education range from $15,000 to $40,000 per year. An Orthodox family with four children will spend over $1 million, in after-tax dollars, to educate their kids before they get to college. And virtually all our kids attend college, after they have spent a year or more in a yeshivah or seminary in Israel. And unless they attend a city or state university, their college costs, with room and board and books, can top $40 to $50,000 per year in after-tax dollars. So earning a comfortable living isn’t a life choice motivated by greed or the desire to accumulate wealth or possessions. It is a pre-requisite for affording the basic necessities of Orthodox life. And then there’s the summer. If you want your kids in a frum environment over the summer, camp or other summer programs aren’t a luxury. They are an imperative of Orthodox life. As is kosher food. And the cost of weddings and other semachot. And the cost of post-marriage support for children. And housing. We need to live in Orthodox neighborhoods in proximity to shuls. And so the price of housing in Orthodox neighborhoods skyrockets. And when housing prices become grossly unaffordable, new neighborhoods develop —almost always further and further away from where most people work, resulting in longer and longer commuting times. It’s not at all unusual for men and women to spend an hour or more, each way, simply getting to and from work. So to cover these ever-increasing costs of Orthodox life, we work harder and harder—longer and longer hours, with longer and longer commutes. Many of our young men and women have become doctors, lawyers, accountants, investment bankers, and technology professionals—there is no profession that is closed to us any longer, baruch Hashem. But these professions require longer hours, and ever greater time commitment, and the basic economics of Orthodox life virtually compel that we work them. Couple the frenetic pace of our work lives and our commutes with the multiple other obligations that we have, and it is not surprising that at the end of the day we come home, and we are, justifiably, exhausted, both physically and emotionally. What are the consequences of this contemporary phenomenon for our Yiddishkeit? For our families? For our ability to lead our lives as bnei and bnot Torah? Can we balance these extraordinary demands on our time and energy with the desire to lead a full and complete Torah life? The overwhelming consensus of educational research is that while schools are important, the most influential factor in the religious development of children and adolescents is the home—parental influence. Schools teach skills; they teach material, curriculum, texts. Parents model behavior. This past April, at Torah New York, an OU-sponsored event that drew more than 2,000 men and women to Citi Field in Queens, New York for a day of Torah study, Rabbi Moshe Hauer gave a magnificent shiur on imparting Torah values. He shared the insight that Pirket Avot is not called Pirkei Rabbanim, to illustrate the point that ethics, middot and Torah values are modeled typically by avot, parental role models, and not imparted by pedagogic means. But how do we raise our children with the Torah values we cherish, when we can barely find sufficient quality time to spend with them, outside of Shabbat and yamim tovim? Have we, because of the extraordinary demands on our time, increasingly abdicated our role to serve as the source of religious inspiration for our children? I spent close to forty years practicing law. Other than on Shabbat and yom tov, I could count on the fingers of a few hands the number of times our family had dinner together. I’m not proud of that; in my parenting days, I often felt enormous guilt and sadness about that. I felt a sense of helplessness, whipsawed between conflicting obligations, unable to sort out where I needed to be first, and constantly feeling that whatever I was doing, some other obligation was being shortchanged. I doubt I was alone in that constellation of experiences and emotions. But even when we’re home, what is the quality of the time we spend with our children? Do we have one eye on work and one eye on them, as the omnipresent struggle between personal, professional and family responsibilities pulls us in multiple, conflicting directions? And it may well be that, in our collective guilt, we point to our schools and our shuls and criticize them for not doing the job of inspiring our children when, in fact, that job is really ours. “Shema beni mussar avicha, v’al titosh Torat imecha”—these are non-delegable functions. We can’t blame mechanchim and rabbanim when our children’s passion for Yiddishkeit seems to be diminished. If we’re honest with ourselves, we recognize these limitations and our inadequacies in fulfilling all the roles assigned to us, and we are left feeling frustrated, confused and often despondent. What are the consequences of this contemporary phenomenon to our Yiddishkeit and to our connection to God and Torah? And what about the simple joy of mitzvah performance, of celebrating yamim tovim? V’samachta b’chagecha. Is the joy really there, or is it one more thing to add to our to-do list? How many of us have time to be kovea itim? In all fairness, Daf Yomi participation is, I believe, on the rise. 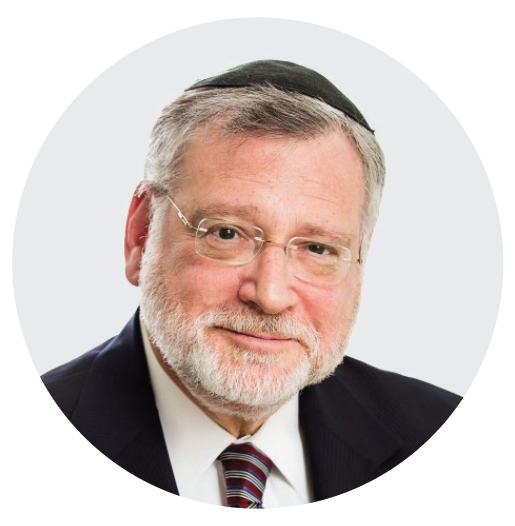 Our two most popular OU Torah online offerings are the Daf Yomi shiurim delivered by Rabbi Moshe Elefant and Rabbi Shalom Rosner, who together have several thousand regular listeners. But, in general, hasn’t Torah learning taken a back seat to other aspects of our lives? We want to learn. We struggle valiantly to be kovea itim. But by the time we’re home, assuming we’re even home in time to attend a shiur at night, we’re simply too tired to venture out. Maybe on Shabbat. Maybe when we retire. Not now. The cascading effects of the myriad demands on our time have enormous consequences for our communal institutions and structures as well. Rav Moshe Feinstein, zt”l, encouraged bnei Torah to give “ma’aser” not just of their earnings, but of their time and effort—to devote 10 percent of their time to helping others, whether in kiruv or chesed. Who among us can possibly follow this lofty exhortation? How many shuls find it difficult to find presidents and gabbaim because of the time commitments involved? Every organization I know of bemoans the diminution in volunteerism. Functions that historically were the province of the laity are now shifted to the shoulders of professionals. At a recent gathering of OU shul rabbis, a common theme was the almost universal rabbinic involvement in fundraising, as lay leaders increasingly leave this difficult and time-consuming function to their rabbinic leadership. Our shuls suffer, but so do our community institutions and chesed and national organizations of every stripe. The law of unintended consequences has deprived our mosdot of the valuable participation of younger lay leaders in particular, who can offer new vision, and fresh approaches and ideas. They are simply unable to balance the myriad other obligations that they face, at least until their children are grown and their professional careers more firmly established. If we lack the time for spouses and children, we certainly lack the time for chevra. The same may be said for dedication to a shul as the linchpin of a family’s social and religious context. Are there solutions to this pervasive challenge to leading a meaningful Torah life? Space constraints do not permit for an extended discussion of solutions, and there may not be any solutions that fully address the fundamentals of the problem of an overextended, over-programmed existence. But I wanted to touch on just one approach, which flows from the concept of aseh seyag l’Torah. When it comes to our shemirat hamitzvot, we concentrate on the establishment of boundaries; we protect our sacred Torah by drawing protective lines. Time is also sacred. And perhaps this same concept should be imported into establishing boundaries to protect the sacredness of how we use our time. This notion was brought home to me a few weeks ago while visiting my son, who lives in the Five Towns in New York. That morning, I needed to borrow his car as I had a meeting in the area. We agreed that my son would drive his children to school, then drop himself off at his office after which I would drive his car to my meeting. While I was in the car, on the way to drop off my grandchildren at school, my phone rang and I began to have a loud and somewhat agitated conversation with a colleague. After a brief moment, my son turned to me and put his finger to his lips. I wasn’t sure what he needed, so I told my colleague that we would continue our conversation later, and ended the call. My son turned to me and said gently but firmly, “This is carpool time. Carpool time is for the kids. We don’t work, and we don’t talk on the phone.” My son was being kovea itim—setting aside time for family—protecting those precious carpool moments from interference or intrusion, building a fence around time, refraining from checking messages, from texting—being unplugged and disconnected from everything else. This approach can work with Torah learning, and—with the right training—with davening, as well as with the time we spend with our children and with our spouses. Parts of the Brooklyn Sephardi community have a wonderful tradition. Thursday night is date night for husbands and wives. That’s their time. Business associates know they can’t schedule meetings then. Community groups know they can’t schedule events or programs. The time is protected; it’s set aside. Each individual must ultimately determine his own allocation of time that matches his lifestyle, stage of life and priority of obligations. We can’t do it all. God doesn’t expect us to; our tafkid is to align our achievements with the circumstances presented by HaKadosh Baruch Hu. Supporting one’s family should be viewed as a fundamental dimension of avodat Hashem, a means to contribute to our community and to the world; not a step-child of our lives as Torah Jews. Recognizing that simple truth may itself help us to chart a course of growth and development, rather than one of despondency and frustration. As I mentioned above, I have little to offer in the way of solutions, but sometimes reflections on the challenges facing us are not necessarily about coming up with the answers. Sometimes just raising the questions can put a spotlight on the issue, spur discussion, and enhance our efforts to foster a more spiritual community. *This article is an abridged version of a lecture I delivered at the 58th Annual Convention of the Rabbinical Council of America, held this past April in Stamford, Connecticut. **For further reading on this topic, see the Winter 2015 issue of Klal Perspectives entitled “The Ben Torah Baal Habayis.” I am indebted to Klal Perspectives and to the individual contributors for many of the insights contained in this essay. Allen I. Fagin is executive vice president of the OU.